The Warriors are coming to Mission Bay — and that means the upper tier of the real-estate market is about to get a jolt. It’ll sting: Ayesha Curry says she’s feeling “sticker shock” looking at S.F. real estate, which is pretty rich (pun intended) considering her husband’s the best-paid player in the NBA. The family sold its spread in Alamo for $6.3 million earlier this year. So today, we offer them some upgrades. They just missed the Getty mansion on Vallejo Street, which sold earlier this month for $27 million. But we’ve got five ideas for the family’s East Bay-to-S.F. move — plus a sub-$300k ringer for the rest of the us. Why: This is definitely not a Victorian — instead, it’s a modern, massive home by S.F. architect Jeff Buris. 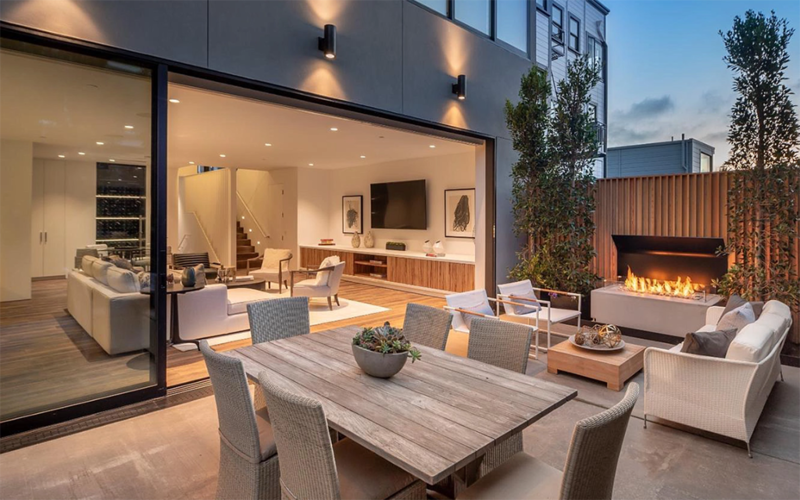 It’s perfect for Ayesha Curry or any other chef, with three outdoor kitchens, a pizza oven, “plentiful wine fridges” and two outdoor fireplaces. 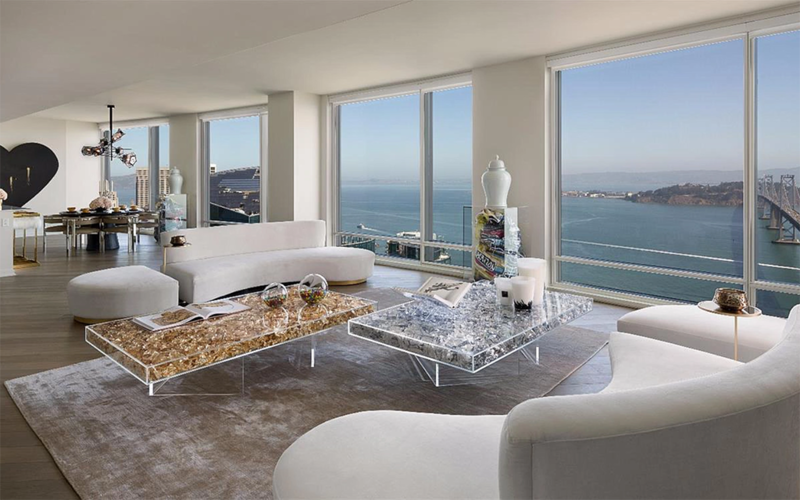 Why: Ever wonder what a $15 million two-bedroom would look like? 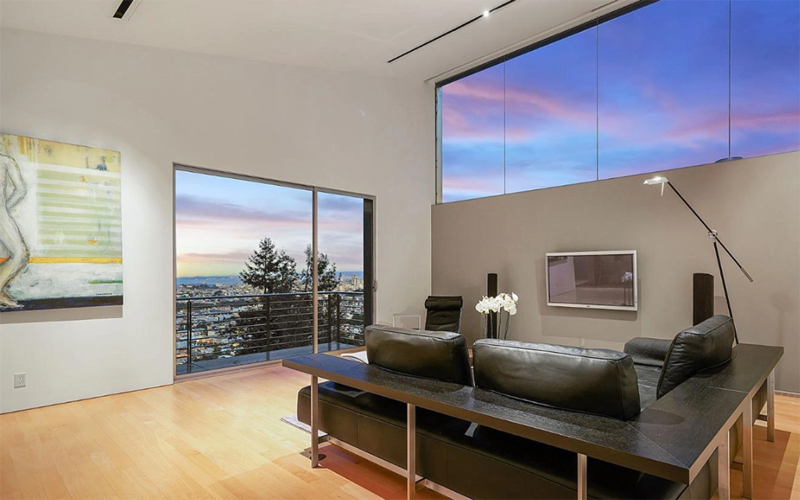 Here you go: floor-to-ceiling windows and half a floor (only half, mind you), 700 feet up. There is a den (in fact, a “large den”) and the top-of-the-line appliances you’d expect, from Miele and Subzero. 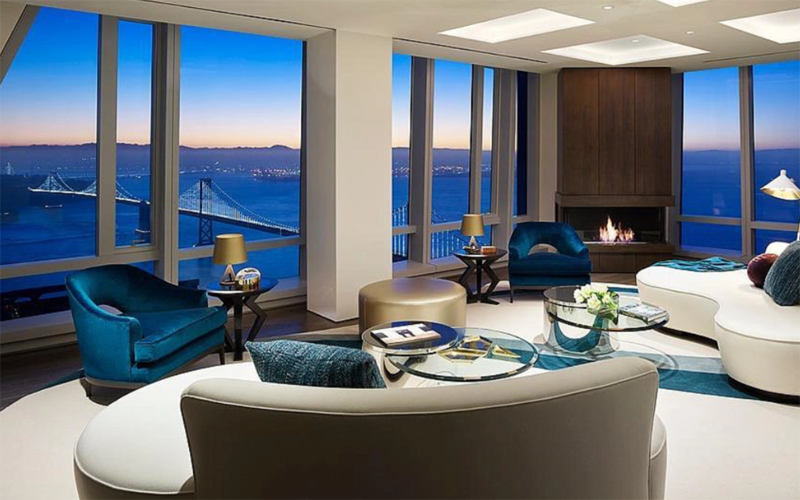 Why: Nearly nine million dollars of real estate will get you 100 feet of floor-to-ceiling windows overlooking the Bay Bridge and beyond. Amenities include Bertazzoni appliances, Studio Becker cabinetry and white Carrara marble, though note it’s only 500 feet up — you’ll need to dig deeper into those pockets to get the extra 200 feet the listing above provides. Why: So Twin Peaks is a hike from Mission Bay. The trade-off for the distance, though, is an actual house on a 7,000-square-foot lot in Clarendon Heights, with four bedrooms, a two-car garage and a hot tub in the backyard — plus lots of outdoor entertaining space under the eucalyptus trees. Why: Proximity to Cow Marlowe, for one thing. For another, an unassuming slice of Cow Hollow with a ginormous garden, tons of sunlight and a separate in-law suite when family comes to visit. 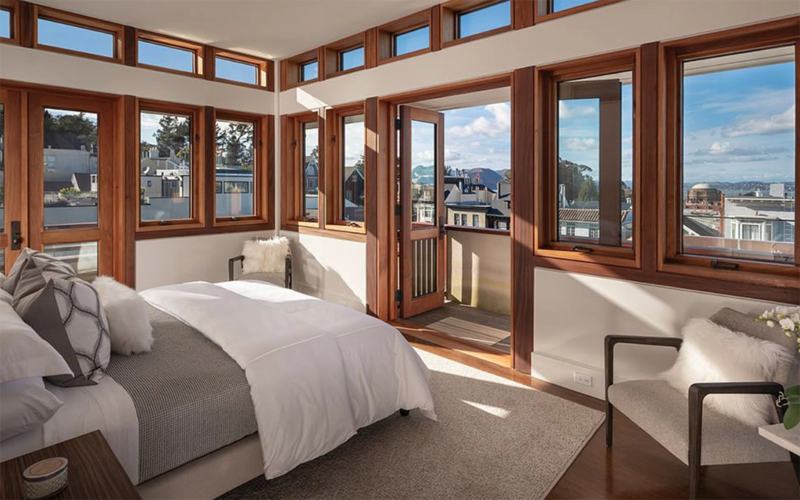 Best of all: the master suite occupies the entire top floor, offering superior views of the Golden Gate and Alcatraz. 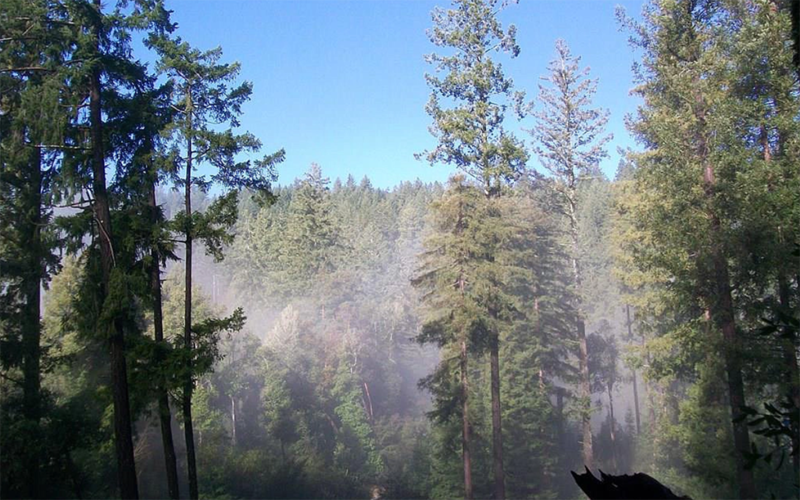 Why: Ready to do your own thing on a 15-acre parcel of undeveloped land in Santa Cruz county? Bonus: there’s a seasonal creek running under the Douglas firs and redwoods, as well as “several level areas” to offset the ridges, “canyon areas” and slopes.